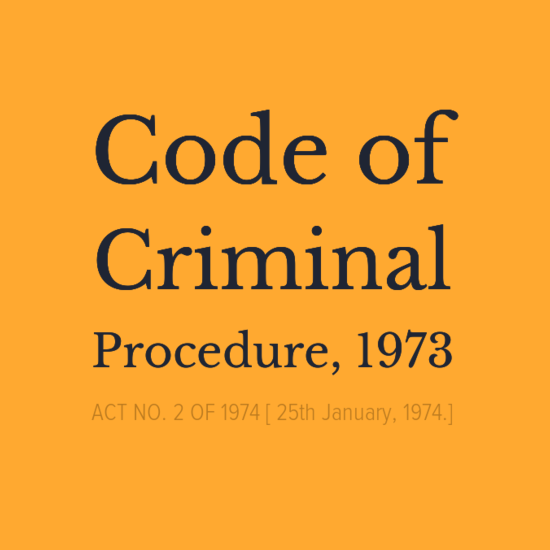 Code of Criminal Procedure, 1973 – Section 231 - Evidence for Prosecution - Whether the exercise of discretion under Section 231(2) of the Cr.P.C. by the Additional Sessions Judge was valid and legally sustainable. Code of Criminal Procedure, 1973 – Section 231 (2) – The Judge may, in his discretion, permit the crossexamination of any witness to be deferred until any other witness or witnesses have been examined. Code of Criminal Procedure, 1973 – Section 231 (2) – While deciding an Application under Section 231(2) of the Cr.P.C., a balance must be struck between the rights of the accused, and the prerogative of the prosecution to lead evidence. • Occurrence of delay in the trial, and the nonavailability of witnesses, if deferral is allowed, in view of Section 309(1) of the Cr.P.C. 9. In cases where trial courts have granted a request for deferral, necessary steps must be taken to safeguard witnesses from being subjected to undue influence, harassment or intimidation. In the present case, a bald assertion was made by the Counsel for the Accused that the defence of the Accused would be prejudiced if the crossexamination of CWs 1 to 5 is not deferred until after the examination-in-chief of CWs 2 to 5. The impugned Order is liable to be set aside since the High Court has given no reasons for reversal of the Order of the Additional Sessions Judge, particularly in light of the possibility of undue influence and intimidation of witness(es) since the Accused are “highly influential political leaders”. (ABHAY MANOHAR SAPRE) AND (INDU MALHOTRA) JJ. 2.1. 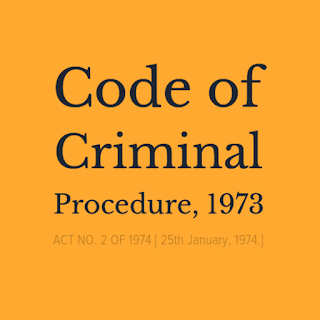 A First Information Report under Section 154 of the Code of Criminal Procedure, 1973 (“Cr.P.C.”) was registered at theinstance of CW 1Narayanan. According to the Original Statement provided by him to the Police, Krishnaprasad, who was the occupant of a flat in the building where CW 1Narayanan was serving as a security guard, had called for an ambulance. Krishnaprasad, along with others, then carried an unconscious person out of the bathroom of the flat to the ambulance. The unconscious person was later identified to be Satheesan, who was declared dead on being taken to the hospital. CW 1Narayanan then made a statement that Krishnaprasad had been staying in the flat for two months, and was a companion of the RespondentAccused No. 2, Rasheed. It was alleged that the flat had been taken on rent by the RespondentAccused No. 2. 2.2. On May 24, 2016, the Police filed a ChargeSheet under Section 173 of the Cr.P.C. before the Judicial First Class Magistrate Court II, Thrissur against 8 persons, including the RespondentAccused No. 2, for the alleged commission of offences under Sections 302, 343, 212, 201, 202, 118 and 109 read with Sections 120B and 34 of the Indian Penal Code, 1860. It was alleged that the deceasedSatheesan had disclosed information to his girlfriend, CW 5Ajitha, regarding the activities which had been taking place inside the rented flat, and about the illicit relationship between the RespondentAccused No. 2 and Accused No. 3Saswathy. On learning about this, the Accused persons had allegedly detained Satheesan, tortured him, and killed him with criminal intention. 2.3. Charges were framed by the Additional Sessions Judge, Thrissur. CWs 1 to 5 were summoned as Prosecution Witnesses on December 16, 2017. On the same day, after the examinationinchief of CW 1Narayanan was conducted, an Application under Section 231(2) of the Cr.P.C. was filed by the Counsel for the RespondentAccused No. 2 seeking adjournment of the crossexamination of CW 1Narayanan, as also of CWs 2 to 5, to a date after the examinationinchief of CWs 2 to 5 was completed. It was stated in the said Application, that the case of the RespondentAccused No. 2 would be adversely affected if the Application was not allowed, since the defence strategy adopted by the RespondentAccused No. 2 would be revealed to the Prosecution. 2.4. The Application under Section 231(2) of the Cr.P.C. was opposed by the Prosecution which filed a Reply, wherein it was stated that CWs 1 to 5 were not deposing with respect to the same subjectmatter. It was further stated that the deferral of the crossexamination would adversely affect the Prosecution evidence. 2.5. The Additional Sessions Judge vide Order dated December 20, 2017 dismissed the Application filed on behalf of the RespondentAccused No. 2.The Additional Sessions Judge held that Section 231(2) of the Cr.P.C. confers a discretion on the Trial Judge to defer the crossexamination of any witness until any other witness or witnesses have been examined. Section 231(2) of the Cr.P.C. does not confer a right on the accused to seek deferral in a wholesale way on the ground that the defence of the accused would become known to the Prosecution. The deferral of crossexamination, in the present case, would run counter to the general provisions of the Indian Evidence Act, 1872. The Additional Sessions Judge held that the deferral of crossexamination in this case could give rise to the possibility of loss of memory on the part of the witnesses, who had already been examinedinchief, which would adversely affect the case of the Prosecution. The Additional Sessions Judge also observed that no specific reason for deferring the crossexamination had been pleaded on behalf of the RespondentAccused No. 2, apart from a general averment that the defence would be disclosed to the Prosecution. The Additional Sessions Judge was of the view that the RespondentAccused No. 2 and Accused No. 7 are “highly influential political leaders”, and the possibility of the threats to witnesses after their examinationinchief, could not be ruled out.Furthermore, it was observed that CWs 1 to 5 would be deposing on different facts and aspects of the case. The Additional Sessions Judge keeping in view the provisions of Sections 231(2) and 309 of the Cr.P.C. held that deferral of crossexamination is not an ordinary practice in a criminal trial, and dismissed the Application filed on behalf of the RespondentAccused No. 2. 2.6. Aggrieved by the Order dated December 20, 2017 passed by the Additional Sessions Judge, the RespondentAccused No. 2 filed Criminal Miscellaneous Case No. 171 of 2018 under Section 482 of the Cr.P.C. before the High Court of Kerala. The High Court reversed the Order of the Additional Sessions Judge by a short unreasoned cryptic Order dated January 1, 2018, and allowed Criminal Miscellaneous Case No. 171 of 2018. It was directed that the crossexamination of CWs 1 to 4 be adjourned till after the examinationinchief of CW 5. 3. The legal issue which arises for consideration in the present Criminal Appeal is whether the exercise of discretion under Section 231(2) of theCr.P.C. by the Additional Sessions Judge was valid and legally sustainable. 4. The statutory framework governing the order of production and examination of witnesses is contained inter alia in Sections 135 and 138 of the Indian Evidence Act, 1872. A conjoint reading of Sections 1351 and 1382 would indicate that the usual practice in any trial, be it civil or criminal, is for the examinationinchief of a witness to be carried out first; followed by his crossexamination (if so desired by the adverse party), and then reexamination (if so desired by the party calling the witness). 2 “138. Order of examination.–Witnesses shall be first examinedinchief, then (if the adverse party so desires) crossexamined, then (if the party calling him so desires) reexamined. 5. Section 231 of the Cr.P.C. indicates that the Judge is given the discretion to defer crossexamination of a witness, until any other witness or witnesses have been examined. “231. Evidence for prosecution.–(1) On the date so fixed, the Judge shall proceed to take all such evidence as maybe produced in support of the prosecution. 6. Section 242(3) is analogous to Section 251A(7) of the repealed Code of Criminal Procedure, 1898 and is identically worded. Section 251A was inserted vide the Code of Criminal Procedure (Amendment) Act, 1955 (Act No. 26 of 1955) in the erstwhile Code of Criminal Procedure, 1898. The Statement of Objects and Reasons of the Code of Criminal Procedure (Amendment) Act, 1955 suggests inter alia that changes were introduced to simplify the procedure in warrant cases, to ensure speedy disposal of criminal judicial business, to minimise inconvenience caused to witnesses, and to ensure that adjournments are not allowed without the examination of witnesses present in court, except for an unavoidable cause. The Karnataka High Court in Shamoon Ahmed Sayed & Anr. v. Intelligence Officer, 2009 Cri LJ 1215 : ILR 2008 Karnataka 4378.delivered by Shantanagoudar, J. (as he then was), had observed that Section 231(2) as well as Section 242(3) of the Cr.P.C. must be interpreted in light of the legislative intent behind the enactment of Section 251A of the Code of Criminal Procedure, 1898. 7. What follows from the discussion is that the norm in any criminal trial is for the examinationinchief of witnesses to be carried out first, followed by crossexamination, and reexamination if required, in accordance with Section 138 of the Indian Evidence Act, 1872. Section 231(2) of the Cr.P.C., however, confers a discretion on the Judge to defer the crossexamination of any witness until any other witness or witnesses have been examined, or recall any witness for further crossexamination, in appropriate cases. Judicial discretion has to be exercised in consonance with the statutory framework and context while being aware of reasonably foreseeable consequences.5 The party seeking deferral under Section 231(2) of the Cr.P.C. must give sufficient reasons to invoke the exercise of discretion by the Judge, and deferral cannot be asserted as a matter of right. Several High Courts have held that the discretion under Section 231(2) of the Cr.P.C. should be exercised only in “exceptional circumstances”6, or when “a very strong case”7 has been made out. However, while it is for the parties to decide the order of production and examination of witnesses in accordance with the statutory scheme, a Judge has the latitude to exercise discretion under Section 231(2) of the Cr.P.C. if sufficient reasons are made out for deviating from the norm. 8 Sri Shankar v. State by Hebbagodi Police Station, [Crl. P. No. 8774 of 2017; decided on December 7, 2017 by the High Court of Karnataka, at Bengaluru]; Masiur Rahman Molla @ Mongla & Ors. v. The State of West Bengal & Ors. [C.R.R. No. 2411 of 2016; decided on August 10, 2016 by the High Court of Calcutta (Appellate Side)]; Jayakar v. The State, by Frazer Town Police, ILR 1996 KARNATAKA 2783 : 1996 (3) Kar LJ 747. Where witnesses were supposed to depose about the same set of facts9. 11 Pradeep Kumar Kolhe v. State of Madhya Pradesh [M.C.R.C. No. 20240 of 2018; decided on July 11, 2018 by the High Court of Madhya Pradesh, at Indore]; State of Maharashtra v. Raja Ram Appana Mane & Ors. [Criminal Writ Petition No. 578 of 2016 and Criminal Application No. 2485 of 2016; decided on January 23, 2017 by the High Court of Bombay, at Aurangabad]; Amit Kumar Shaw & Ors. v. State of West Bengal & Anr. [C.R.R. No. 3846 of 2009; decided on June 23, 2010 by the High Court of Calcutta (Appellate Side)]; Md. Sanjoy & Anr. v. The State of West Bengal, 2000 Cri LJ 608 : 2001 (1) RCR (Criminal) 431. where no prejudice would have been caused12. (viii). If the defence intends to invoke the jurisdiction of the criminal court to exercise the discretion for deferment of crossexamination of particular witness(es) in terms of Section 231(2), or Section 242(3) Cr. PC, it must inform the presiding judge at the stage of setting the schedule so that the order in which the witnesses are to be called can be appropriately determined, facilitating short deferment for crossexamination (when necessary) so that the recording of evidence continues, from daytoday, unhindered avoiding prolonged adjournments as are often seen to be misused to unduly influence or intimidate the witnesses. 11. While deciding an Application under Section 231(2) of the Cr.P.C., a balance must be struck between the rights of the accused, and the prerogative of the prosecution to lead evidence.  occurrence of delay in the trial, and the nonavailability of witnesses, if deferral is allowed, in view of Section 309(1) of the Cr.P.C.14. 14 “309. Power to postpone or adjourn proceedings.–(1) In every inquiry or trial the proceedings shall be continued from daytoday until all the witnesses in attendance have been examined, unless the Court finds the adjournment of the same beyond the following day to be necessary for reasons to be recorded…” See also Vinod Kumar v. State of Punjab, (2015) 3 SCC 220; and, Lt. Col. S.J. Chaudhary v. State (Delhi Administration), (1984) 1 SCC 722.
viii. the casecalendar, prepared in accordance with the above guidelines, must be followed strictly, unless departure from the same becomes absolutely necessary; ix. in cases where trial courts have granted a request for deferral, necessary steps must be taken to safeguard witnesses from being subjected to undue influence, harassment or intimidation. 13. In the present case, a bald assertion was made by the Counsel for the RespondentAccused No. 2 that the defence of the RespondentAccused No. 2 would be prejudiced if the crossexamination of CWs 1 to 5 is not deferred until after the examinationinchief of CWs 2 to 5. The impugned Order is liable to be set aside since the High Court has given no reasons for reversal of the Order of the Additional Sessions Judge, particularly in light of the possibility of undue influence and intimidation of witness(es) since the RespondentAccused No. 2 and Accused No. 7 are “highly influential political leaders”. 14. In view of the aforesaid discussion, the present Criminal Appeal is allowed, and the impugned Order dated January 9, 2018 passed by the High Court of Kerala in Criminal Miscellaneous Case No. 171 of 2018 is set aside. The Order dated December 20, 2017 passed by the Additional Sessions Judge dismissing the Application filed on behalf of the RespondentAccused No. 2 stands restored. The observations made hereinabove will, however, have no bearing on the merits of the case during the course of trial.